Sightmark® offers the Laser Dual Shot in an 11mm dove tail mount. 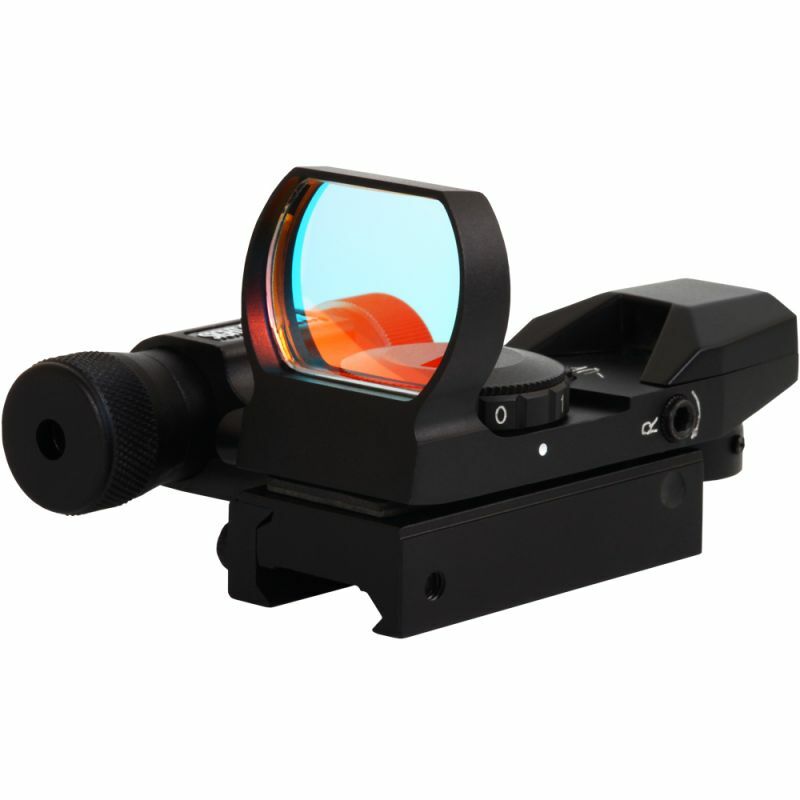 Equipped with four precise reticle patterns, multiple brightness settings and a side-mounted 5mW red laser, the Laser Dual Shot Reflex Sight with Dove Tail Mount is the perfect accessory for European weapons, extreme shooting sports guns and .22 caliber rifles or carbines. The Laser Dual Shot Reflex Sight with Dove Tail Mount is engineered with Aircraft-grade aluminum, able to withstand heavy recoil. Featuring the Interlok™ internal locking system, the device holds zero extremely well, eliminating tedious adjustments in the field. The unit is perfect for any tactical or hunting situation.